The Housing Developers (Control and Licensing) (Amendment) Act 2013 came into force on 25 May 2015, whilst the Housing Developers (Amendment No. 2) Rules 2015 and Housing Developers (Show Unit) Rules 2015 come into operation in two phases on 25 May 2015 and 20 July 2015. Homebuyers planning to purchase private residential property can look forward to more safeguards, while housing developers (Developers) can seize this opportunity to offer greater assurance to such purchasers. This article examines in brief some of the salient changes brought about by the new legislation. Applications for a Housing Developer’s Licence have to be submitted using a new application form. are not designated terrorists or terrorist entities as set out under the Terrorism (Suppression of Financing) Act or the regulations under the United Nations Act. Developers no longer have to publish their audited balance sheet and profit and loss account in the Gazette. Instead, Developers will have to provide a copy of their audited accounts and the auditor’s report on the accounts for inspection by the public without charge, at their registered office during office hours or on their website, and also submit these documents to the Controller of Housing (the Controller) within six months (instead of the current three months) from the close of their financial year. Developers are also required to submit information on the sale of housing units to the Controller on a weekly basis via the Developer Survey System (DSS) launched on 25 May 2015. Updated and detailed transaction information, including sales volumes and transacted prices of individual units in their building projects, and the value of any benefits extended to buyers, will be published on the website of the Urban Redevelopment Authority (URA) starting from 5 June 2015. The DSS was piloted even before it was legislatively mandated, which gave the authorities an opportunity to gather feedback from industry stakeholders and refine the processes accordingly. This has also allowed Developers to familiarise themselves with the new regime in advance, making it more convenient for them to comply with the new requirements. New forms of the above documents are required to be used. This means that the existing forms which were previously approved by the Controller will have to be amended. The Developer must indicate on the Location Plan, that the purchasers may obtain information on the permissible land use and density of sites around the housing project from the Master Plan. The Developer must now set out the General Description of Housing Project (which must be the same as that set out in the First Schedule to the Sale and Purchase Agreement in Form 5). This replaces the existing section F of Form 3 on Number of Housing Units and Car Parking Spaces. The new clause 10 requires the amount or value and the terms and conditions of benefits given by the Developer (e.g. rebate, reimbursement, allowance, discount payment, voucher and other benefit (whether monetary or otherwise) (collectively, Benefit)), if any, to be provided in the new Schedule A to the Option to Purchase. The language of the existing clause 12.3 appears to suggest that delivery of vacant possession of the unit to the purchaser may be effected by delivering a notice of vacant possession in respect of the unit. Due to the change in definition of the notice of vacant possession to the date of actual possession, the new clause 3.2(c)(i) has the effect of amending the date on which risk passes from the Developer to the purchaser to the date the purchaser actually takes possession of the unit. Therefore, if the purchaser delays the collection of keys for an extended period, the Developer will need to ensure that its insurance policies cover the risk until such time the purchaser actually collects the keys. This would also mean that clause 3.2(c)(ii) has no practical effect, because it provides for the passing of risk to the purchaser on the 15th day after the purchaser receives the notice of vacant possession, if this is earlier than the actual taking of possession by the purchaser, which will never be the case. The new clause 4.2 requires the Benefit (if any) to be provided in the new Fifth Schedule to the Sale and Purchase Agreement. The new clause 21 expressly provides that sub-purchasers, who purchase the unit before the expiry of the 1-year defects liability period (DLP) but after legal completion between the Developer and the original purchaser has taken place, will automatically have the benefit of the DLP. Under the current Housing Developers Rules (HDR), it is also possible for a sub-purchaser to enjoy the benefit of the original purchaser’s DLP, by entering into a deed of assignment of the original purchaser’s sale and purchase agreement. The various floor-to-ceiling heights (FCH) of the unit have to be provided clearly in the Specifications. The main issue arising from this requirement is that due to construction allowances, 100% accuracy in the FCH is difficult to achieve, in which case it is suggested that since a 3% allowance in the floor area is permitted under clause 18 of the Sale and Purchase Agreement, that some allowance also be applied to the FCH. The amended Notes to Specifications suggest that the layout and locations of wardrobes and cabinets can no longer be varied, unlike previously, where the same were subject to the architect’s final decision or design. Perhaps the most significant change introduced this time round is the enactment of the Housing Developers (Show Unit) Rules 2015 (HD(SU)R), which imposes stringent rules on Developers when it comes to making a show unit for viewing by purchasers or prospective purchasers. The HD(SU)R, which seeks to ensure that housing units offered for sale are depicted accurately, will come into operation on 20 July 2015. The show unit’s floor spaces and other spaces which form part of the depicted unit must be built exactly in accordance with the approved building plan for the depicted unit. The floor area of the show unit must be the same as that shown in the approved building plan for the depicted unit. All external walls, load-bearing walls, enclosure walls, parapets, fences, railings and other barriers erected for the show unit must be exactly as shown in the approved building plan for the depicted unit. If these walls are not built, for example, to provide access to the show unit, the location, thickness and width of the removed walls or barriers must be clearly marked and indicated on the floor of the show unit. All walls erected for the show unit must be of the same thickness as those shown in the approved building plan for the depicted unit. If any internal wall (that is not load-bearing), partition or door is not built in the show unit, its position, thickness and width must be clearly marked and indicated on the floor of the show unit. If any interior design feature (e.g. display shelf, glass panel) is built in the show unit in place of a wall (that is not load-bearing), a written notice must be displayed prominently on the interior design feature stating that such a wall will be built in place of the interior design feature in the depicted unit, and any difference in thickness between the interior design feature and the wall must be clearly marked and indicated. If any loft or intermediate furniture deck is built in the show unit but will not be provided in the depicted unit, the loft or intermediate furniture deck must be built in compliance with the requirements of the Commissioner of Building Control, and a written notice must be prominently displayed on the loft or intermediate furniture deck stating that it will not be provided in the depicted unit. Door frames must be installed for all doors in the show unit. The floor-to-ceiling height of the show unit, which must be stated in a written notice displayed prominently at the show unit’s entrance, must be the same as that shown in the approved building plan for the depicted unit. If the show unit depicts a specific type of unit in the housing project and the floor-to-ceiling height of the units falling within that specific type varies, a written notice must be displayed prominently at the show unit’s entrance, stating that the floor-to-ceiling height of such units may differ from that of the show unit. A drawn-to-scale floor plan of the depicted unit corresponding exactly with the approved building plan must be displayed prominently at the show unit’s entrance. All cupboards, vanity units, cabinets and wardrobes to be provided in a depicted unit must be installed in the show unit, and must have the same specifications and dimensions and be made of the same type of materials to be used in the depicted unit. A written notice stating all materials, finishes, fittings, equipment, installations and appliances which will be provided in the depicted unit must be prominently displayed in the show unit. Any differences must be clearly described in the notice. It should be noted that the Controller is not empowered to exempt any show unit from any provisions of the HD(SU)R. In other words, it is absolutely necessary for any show unit which is not erected and made available for viewing before 20 July 2015 to be set up in accordance with all the new requirements under the HD(SU)R.
Failure to comply with these new rules amounts to a criminal offence under Rule 13(1) of the HD(SU)R, which is punishable with a fine not exceeding $5,000 or an imprisonment for a term not exceeding six months, or both. show the names of streets, prominent buildings, facilities and other features within a radius of 500 metres of the building project (e.g. railway stations, religious institutions, public parks, schools, commercial buildings, industrial buildings, public housing flats). be based on the approved building plan for the building project, displaying prominently the building plan approval number and approval date. be based on the approved building plan for the building project, displaying prominently the building plan approval number and approval date next to the model. have the building plan approval number and approval date displayed prominently next to the model. 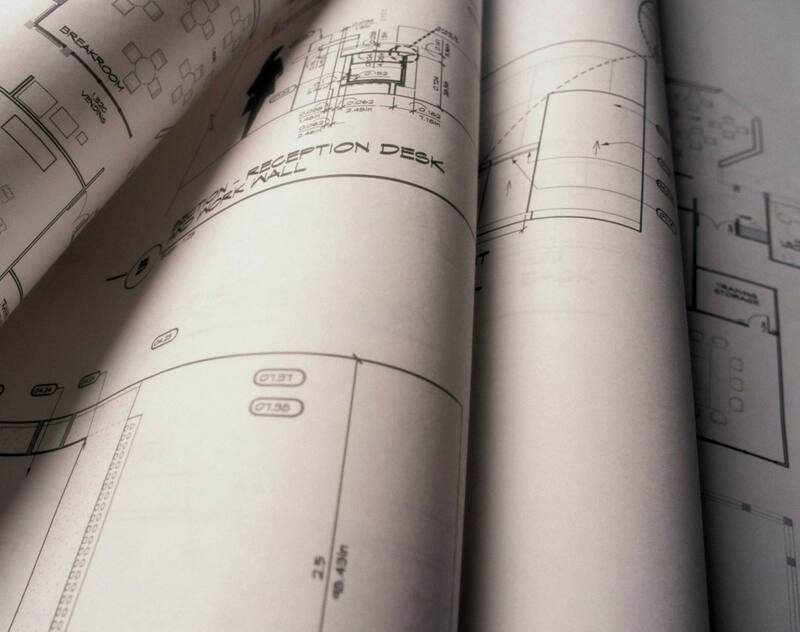 Although brochure plans do not fall strictly within rule 12 of the HD(SU)R, Developers must be mindful that they must not, in any event, make any misrepresentations or misleading statements. Although brochure plans do not fall strictly within rule 12 of the HD(SU)R, Developers must be mindful that they must not, in any event, make any misrepresentations or misleading statements. Rule 7(a) of the HD(SU)R specifically provides that a Developer must ensure that the show unit and its contents do not misrepresent any aspect of the depicted unit and its contents. In this connection, Developers should note that disclaimers may not be effective in excluding liability for misrepresentation. Hence, notwithstanding the use of disclaimers, it is important for Developers to ensure that the show unit accurately depicts the units offered for sale, and there should not be any misleading representations. This principle equally applies to any collaterals, such as flyers, brochures and other advertisements which relate to the housing project. Where relevant, the provisions of the Building Control (Outdoor Advertising) Regulations and the Singapore Code of Advertising Practice should be complied with as well. Failure to comply with rule 7 of the HDR amounts to an offence under rule 19(1) of the HDR, and any person found to be guilty of the offence shall be liable on conviction to a fine not exceeding $5,000 or to imprisonment for a term not exceeding six months or to both. The Controller has acknowledged that some Developers have already set up their show units and have made (or will be making) these show units available for viewing by purchasers and prospective purchasers before 20 July 2015. The show unit must have been erected, set up and made available for viewing by any purchaser or prospective purchaser (rule 14(1)(b)). A copy of the detailed list of differences between the show unit and the approved building plan for the depicted unit (List of Differences) (rule 14(1)(f)). Purchasers will definitely benefit from the additional statutory protection. For Developers, the changes will lead to greater commercial certainty in their dealings with purchasers. More importantly, these changes will positively instill confidence in Singapore’s property market.